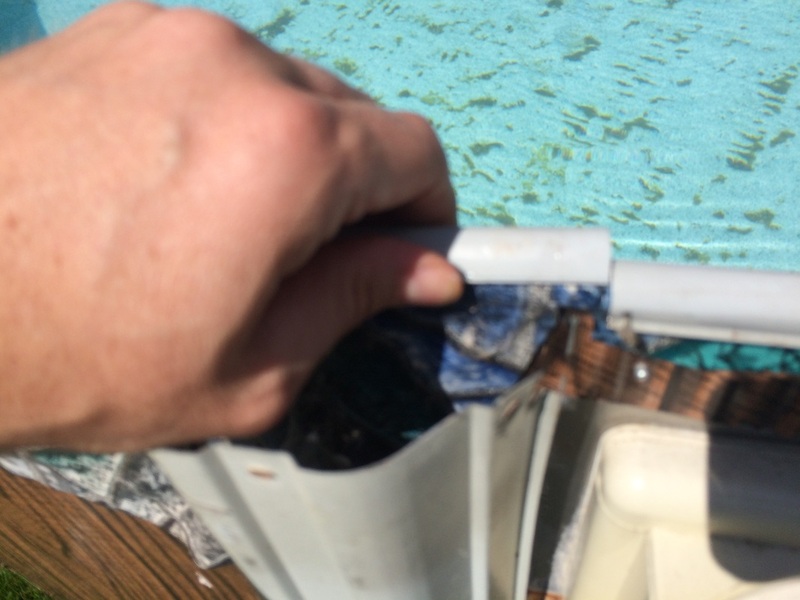 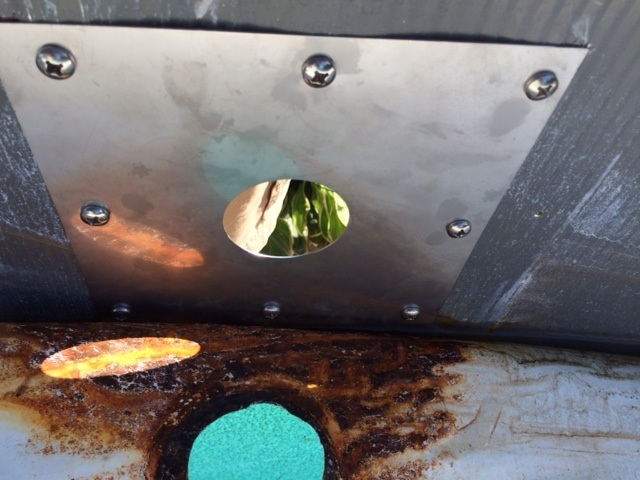 Our repair panels fit inside the pool, between the pool wall and liner. 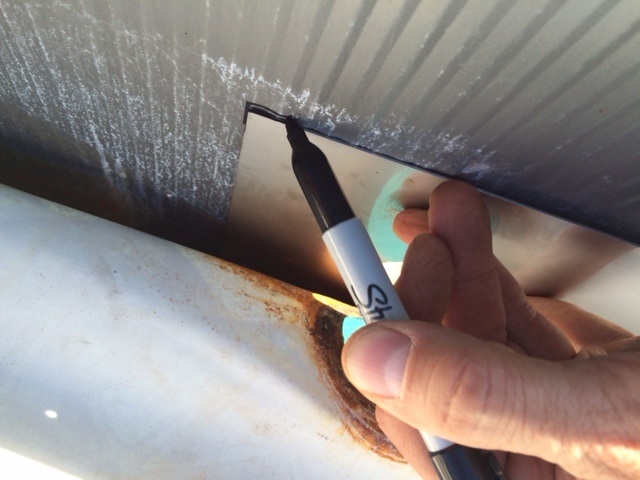 When cutting metal, remember to use appropriate personal safety equipment, including gloves and safety glasses. 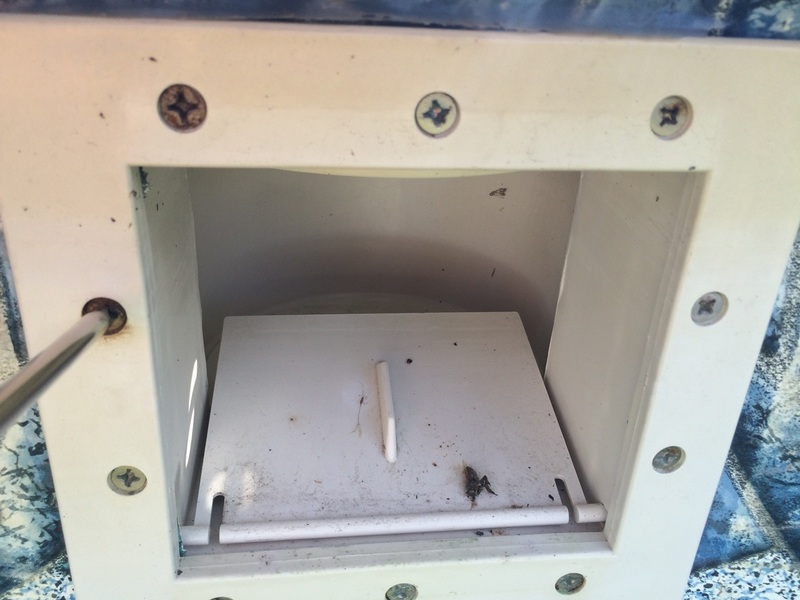 -Assemble one corner of the panel with a machine screw, washer and nut, then the opposite corner. 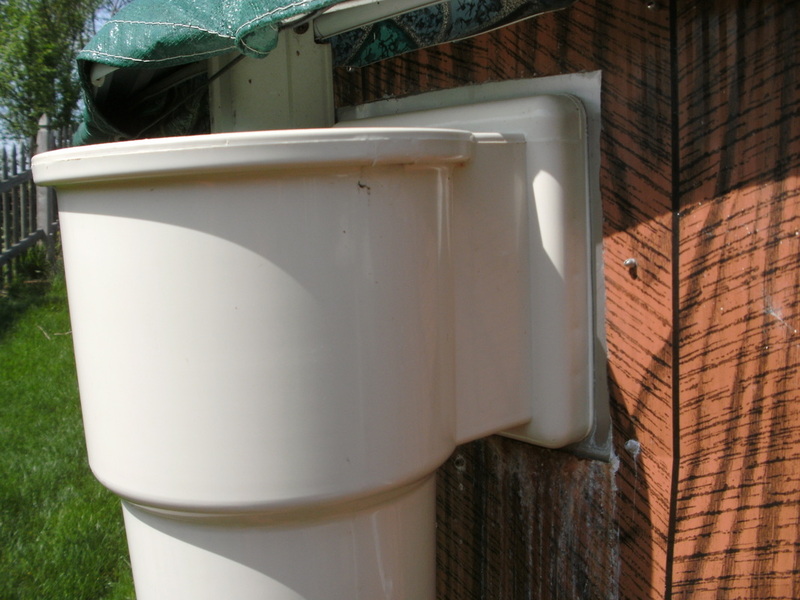 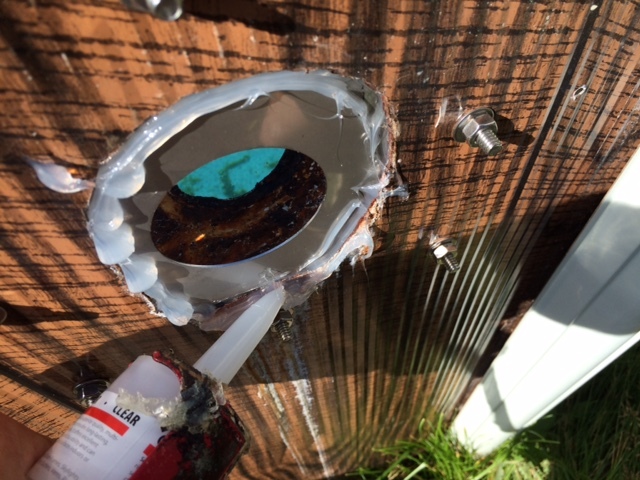 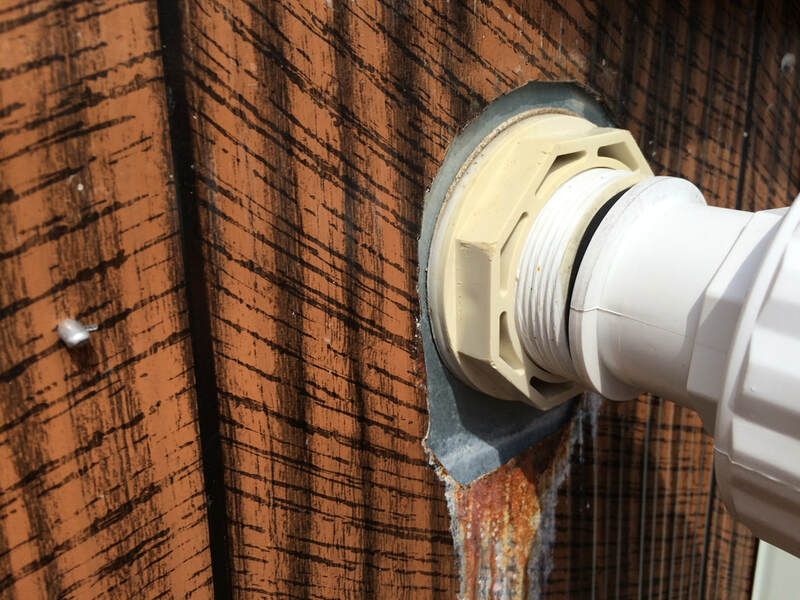 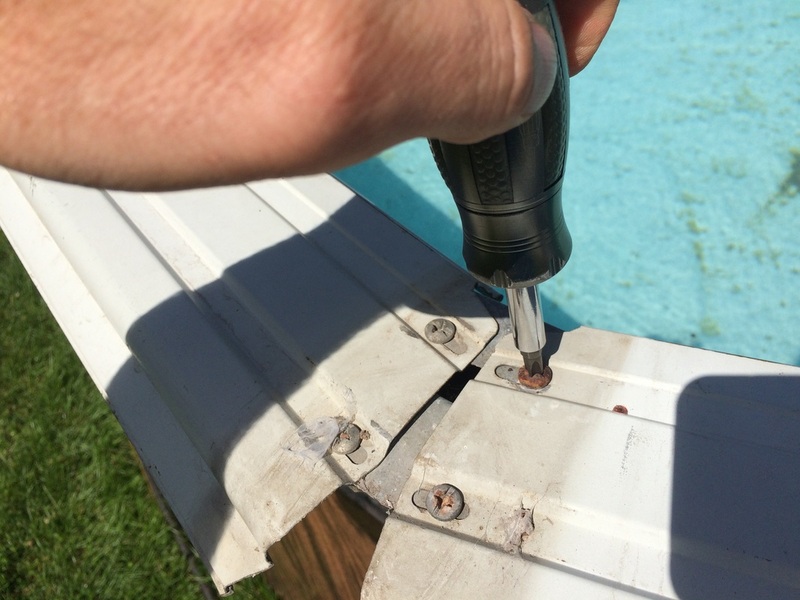 -Apply a bead of caulk between the panel and the old pool wall to prevent any future drips from getting between your pool wall and the repair panel. 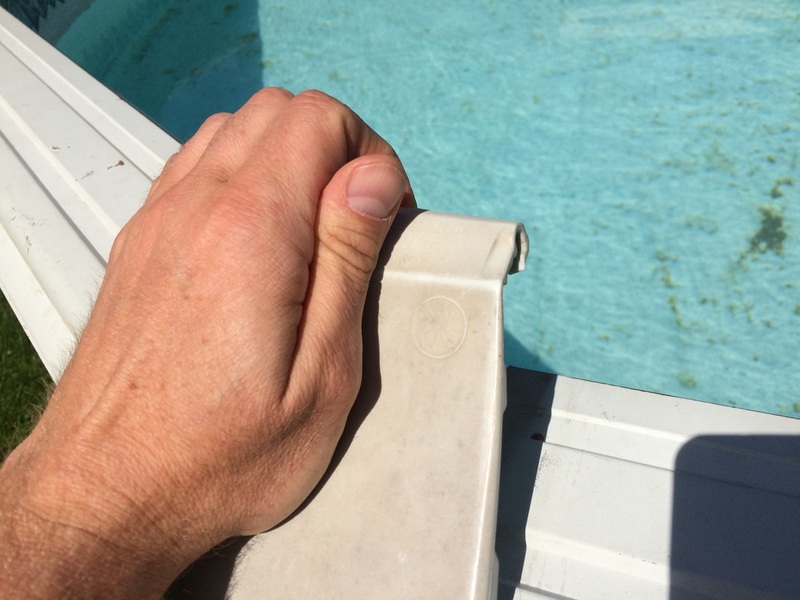 If this seems beyond your ability, contact your local pool service company and ask them to install our panel. 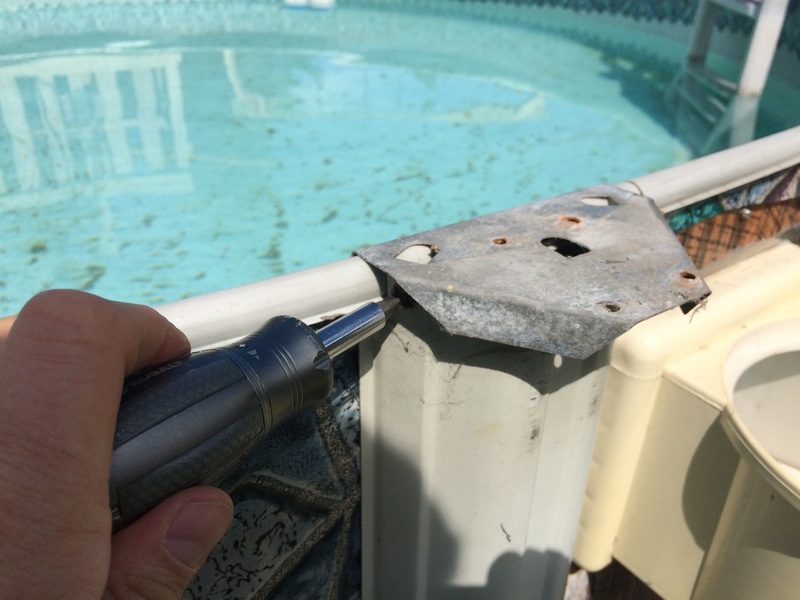 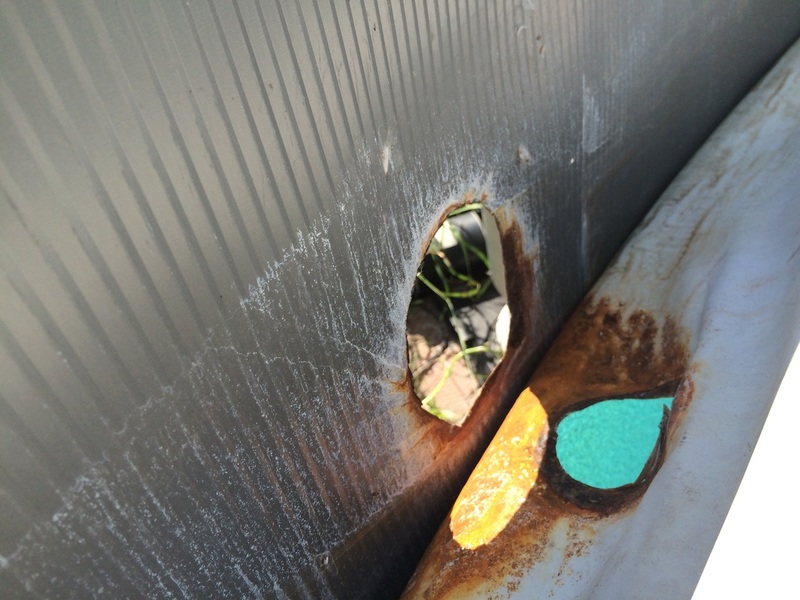 ​Don't settle for a repair with galvanized steel - you'll just have to do it again!